Easter Sunday is the day we celebrate when God's power was on full display! Jesus conquered sin and death when God's Spirit raised Jesus from the dead. Join us as we remember God's power and baptize three people whose lives have been changed by that power. Our world understands judgment. We talk a lot about fairness. We expect reward and punishment according to what people deserve. But what we all long for is grace. As we conclude our series in the book of Colossians this week, we'll see that we have what the world is desperately seeking but doesn't understand -- grace. Join us as we see that grace shines brightest when judgment is expected. Join us as we continue our Made Alive series in Colossians. We'll examine together how being Made Alive with Christ involves freedom from rules and responsibility to be ethical people. To be a Christian is to willingly, daily surrender yourself under the Lordship of Jesus. (That is at least what the Apostle Paul thought.) The lack of emphasis in the Church today on this essential aspect of Christian living has profound consequences. As we continue our study in Colossians 2, we’ll see the implications of what it means to live as though “Jesus is Lord.” We see that no one should have to guess whether Jesus is Lord of your life or not. Jesus is not just a person who did helpful things, taught wise things, or makes us feel good in our times of weakness. He is the Healer who reconciles our broken relationship with the God of the Universe. He is the one whom our lives should imitate because he is Wisdom. He is the one through whom our lives have purpose and hope. Join us as we shine a spotlight on "the glorious riches of this mystery, which is Christ in you, the hope of glory" (Colossians 1:27). We talk about Jesus, sing songs to Jesus, and otherwise refer to Jesus with such familiarity at times that we can lose our sense of wonder and awe. We risk squeezing Jesus into our preferred categories to make him what we want him to be. 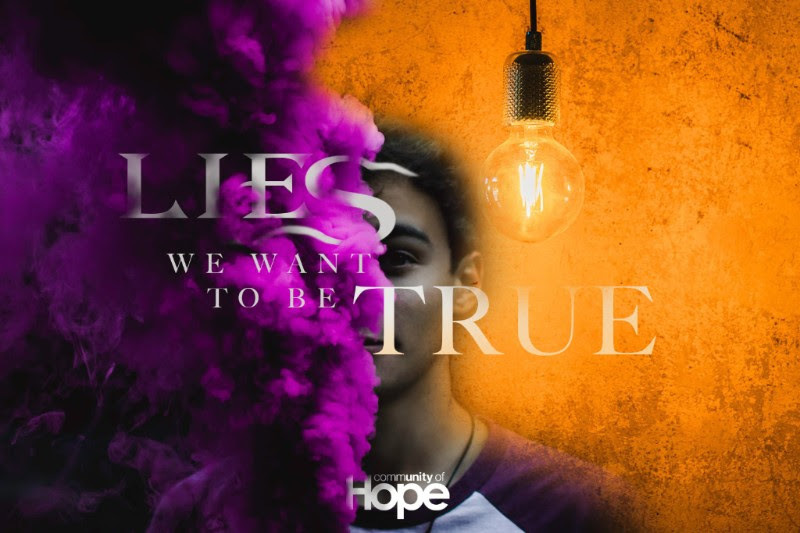 As we continue our study in Colossians, we’ll see that the Apostle Paul fixates our imaginations on a Jesus who is never safe, but also who never fails. At the heart of this understanding of Jesus is his passion to use his church for his glory. There’s something refreshing about having someone believe in us when we don’t believe in ourselves. That’s what the Apostle Paul does to the insignificant congregation in the insignificant community at Colossae. 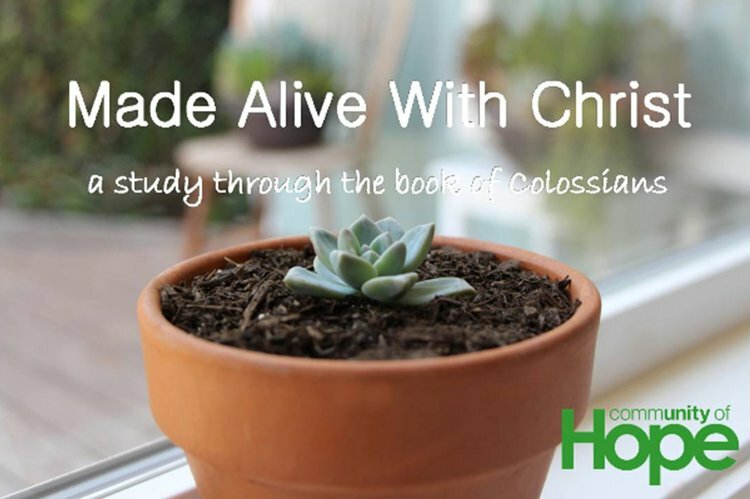 As we begin our study through the book of Colossians, we will see in the opening verses that God wants us to grow, not be perfect. Join us as we see that focusing on spiritual growth will help us rise to our full potential, rather than focusing on an unattainable standard. In recent years “adulting” has entered the popular vocabulary. It’s usually used to describe the mundane, but responsible behaviors our society has come to expect from independent adults. While we might understand these social norms, and most of us understand the impact of aging, many of us don’t know what it looks like to be spiritually mature. Join us on Sunday at 10am as we explore what it means to crave maturity. We may not all like sports, but we understand the difference between being "in the game" and "in the stands" watching the game. The Church is not designed to be a spectator sport, but rather a mission we all participate in together. The mission of God is to shine the light of Jesus and His Kingdom all the time and in every way. Do you crave an opportunity to be "in the game?" Join us Sunday at 10am as we spotlight a couple ministries at CofH (including the team who recently returned from Haiti) and see that God designed each of us to participate in His work, not merely to be spectators of His work. What do we crave? Are our cravings healthy or do they lead us into controlling and destructive thoughts and behaviors? How do we learn to crave the "pure spiritual milk" that we talked about last Sunday which nourishes us and helps us to grow? Join us as we explore the importance of craving a relationship with Jesus. We will discover that only through a deep and personal friendship with Jesus can we realize true spiritual growth that results in joy, peace, and purpose in our life. Most of us understand our physical cravings for certain foods, but do we understand our spiritual cravings? If we simply give into whatever cravings we have, we end up consuming unhealthy, ungodly, destructive things. If we learn to channel our cravings toward godly things, the best things in life become more attainable. Join us as we begin the new year identifying the things we need to crave in order to become who God wants us to become. We are planting an orchard! God has uniquely placed each one of us where we are to expand the Kingdom of God into dark places. Each week we gather in order to invigorate one another and then scatter in order to infuse our world with the life-changing gospel message. Join us as we finish our series answering the question, "What does our orchard look like?" 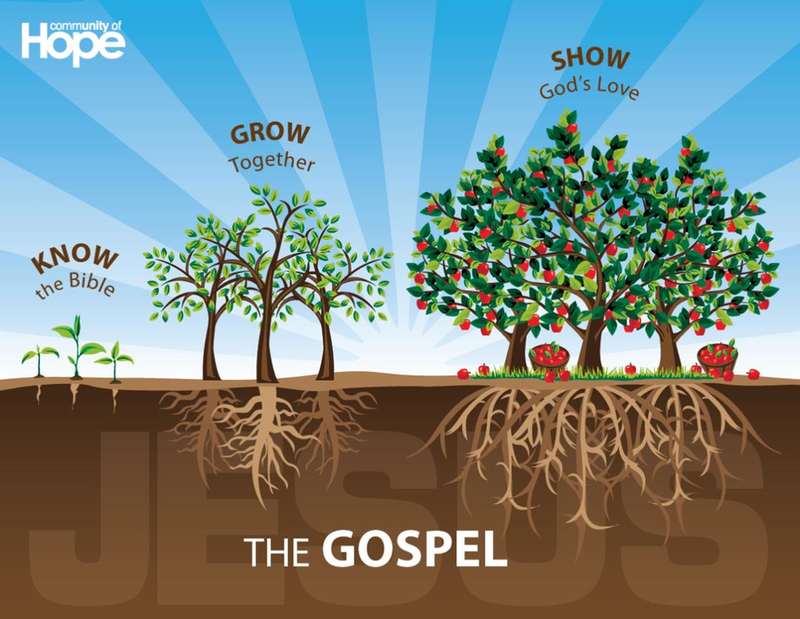 The purpose of a fruit tree is to grow healthy fruit, and the purpose of the church is to help people rise to their full potential and bear much spiritual fruit. Everything we do as a church should lead to "Showing God's Love" to others, helping them move from where they are to where God wants them to be. We define success as the accumulation of stories of broken sinners finding hope and salvation in Jesus who then help other broken sinners do the same. Why does the Church seem to be institutionalized? Is there only one Church? Is there only one way to do "church"? Why can't churches work together? This Sunday we're going to continue our exploration of our values with Part 1 of what we mean by "Growing Together." Join us as we dismantle confusion about the difference between the forms of "church" and the functions of "The Church."